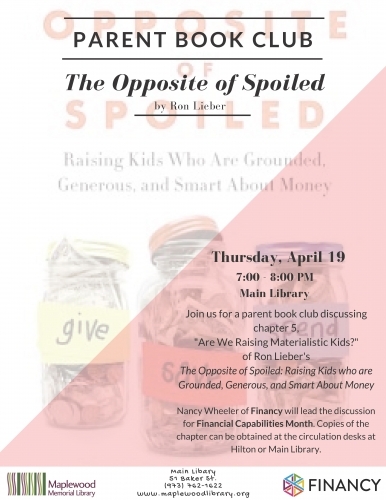 Parent Book Club Thursday, April 19 7:00 pm at Main Library Join us for a parent book club discussing chapter 5, "Are We Raising Materialistic Kids?" 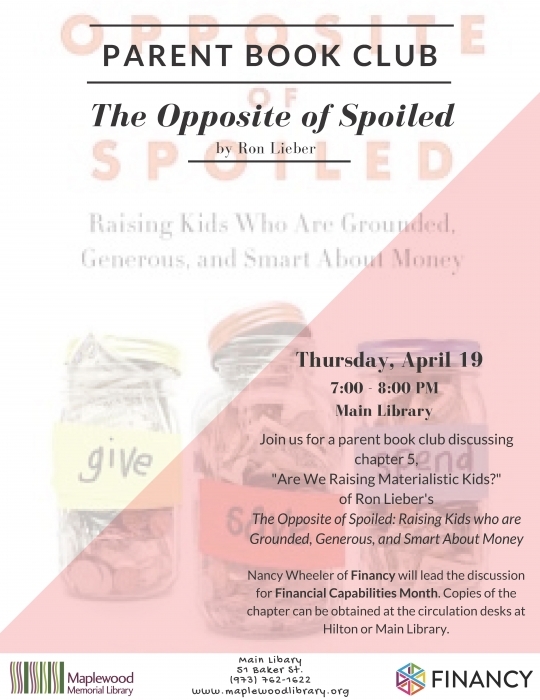 of Ron Lieber's The Opposite of Spoiled: Raising Kids who are Grounded, Generous, and Smart About Money. Nancy Wheeler of Financy will lead the discussion for Financial Capabilities Month. Copies of the chapter can be obtained at the circulation desks at Main Library or Hilton Branch.